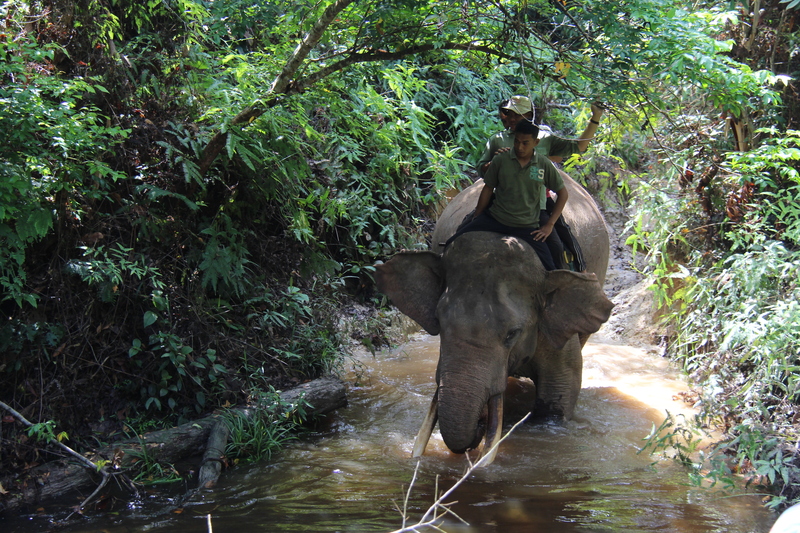 I got to ride on an old gentleman elephant called Rahman behind the Mahout (trainer). 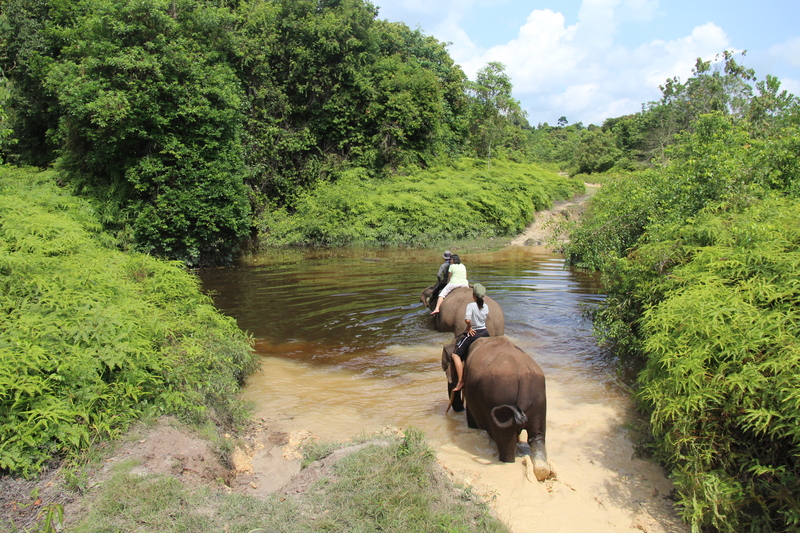 We went through the forest area where the elephants roam overnight, passing small streams up and down the hills and valley and finally arrived on a waterhole where the elephants usually take a bath in the morning. The guide asked us if we want to bathe the elephant and I agreed immediately. 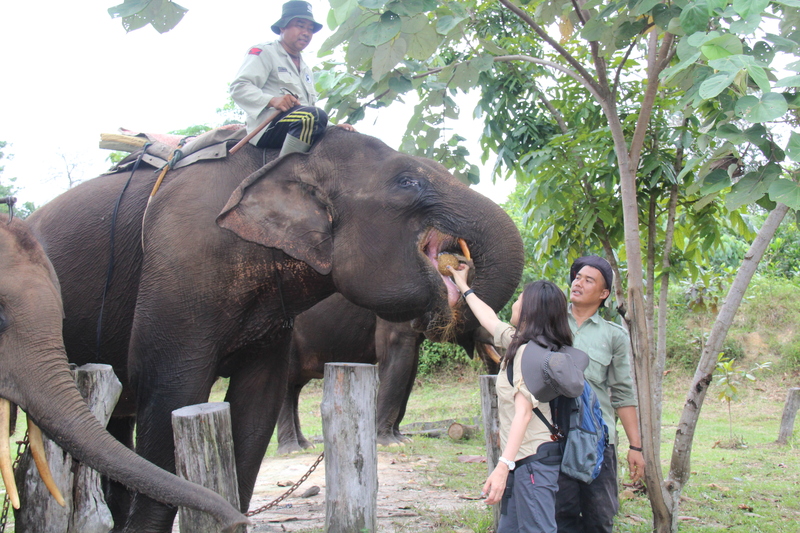 The guide took the saddle, asked the elephant to kneel down and helped me to get back to its back again. 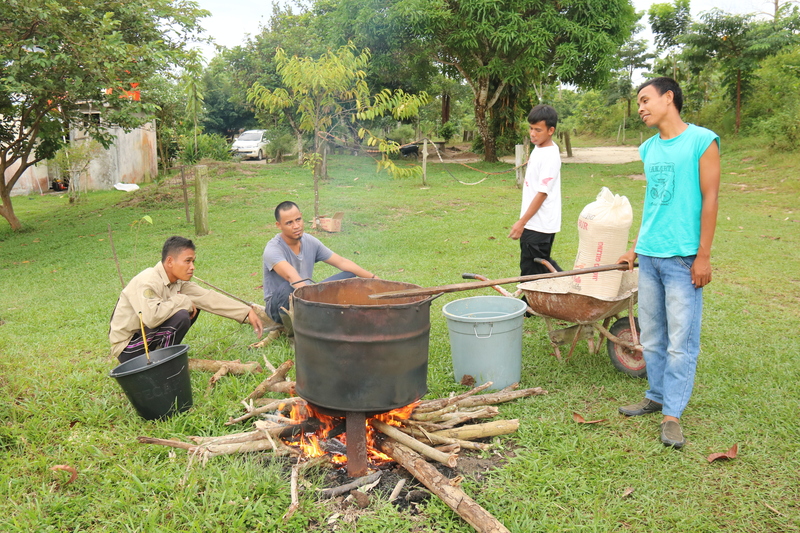 Then he led the elephant into the water, brownish black from humus and organic materials leached by the rains from the peat soil. On top of the elephant’s back I could still keep myself dry until the elephant started to kneel down into the bottom of the river taking me into the refreshing black water. Then it was my turn to work scrubbing and cleaning the elephant’s back. After a half hour of refreshing spa, we got out of the water and continued our journey back to the lodge. On June 1st, we received news that Lisa gave birth to a healthy baby girl in front of CCTV camera.